Can Pachuca resolve its early crisis in the 2018 Apertura? After three weeks of matches, no Liga MX team has looked worse than Pachuca. Of all the 18 clubs, Los Tuzos are the only one without a point in the league table. With three losses in three games, Pachuca is undeniably the most miserable team in the Mexican first division. Perhaps this was somewhat predictable. Although we could go over a long list of summer changes and transitions that led to this worrying start to the season, two departures stand out: Keisuke Honda and Diego Alonso. Before Honda's summer exit, the Japanese superstar was by far the most important attacking player to the squad. During the 2017 Apertura and 2018 Clausura, no member of Pachuca's roster had more goals or assists than the former Milan player. During numerous games in which Los Tuzos struggled to create something in the final third, Honda would step up as the lone attacking force. This season, it's no wonder that the 32-year-old, who recently signed a contract with Australia's Melbourne Victory, has been dearly missed. Looking at the manager's job, there also appears to be an Alonso-sized hole on the bench for Pachuca. After nearly a four-year stint with the club, the Uruguayan manager made a move to Monterrey to join Los Rayados in May. The 43-year-old, who helped claim a CONCACAF Champions League title and a league title with Pachuca, left behind a squad that is still adjusting to new manager Pako Ayestaran. Despite the fact the Spaniard is no stranger to Mexican soccer -- he coached Santos Laguna in 2015 -- the appointment was seen as an underwhelming one by fans. Unfortunately for Ayestaran, he hasn't done much to win over his doubters with his three losses in a row. All that said, there does seem to be potential for Pachuca. Looking back at the team's three defeats, it's easy to see a strong control of possession but a serious disconnect going forward. In the final third, there are a number of shots created, with only a few hitting the target. 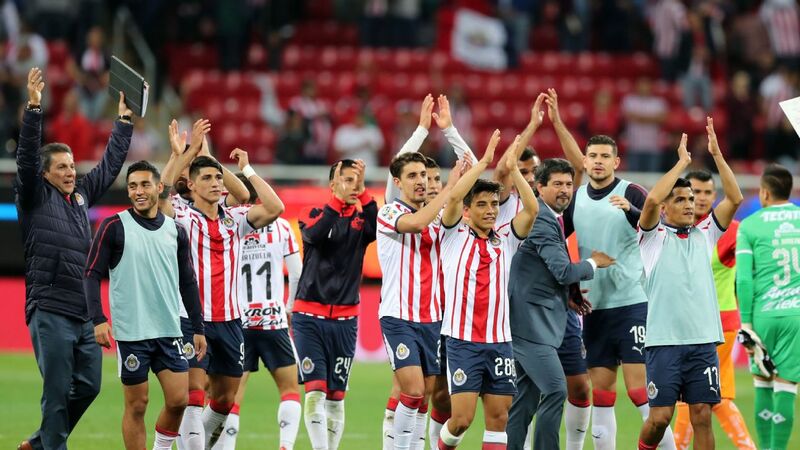 There are distinct improvements to be made, and if Ayestaran can fine-tune a few issues with team chemistry and capitalization in the attack, Pachuca might still have a chance of success. Fans should keep an eye on Victor Guzman as well. On paper, the 23-year-old Mexican has the capabilities of fulfilling Honda's role. Given a few more weeks to rediscover his form, the midfielder could return to his noteworthy heights seen before he suffered an injury earlier this year. If the club is also willing to spend some cash before the foreign transfer window closes, a new striker and goalkeeper would also do wonders for the side that needs more depth in those positions. At the risk of providing excuses, their schedule must also be brought up . Few teams will beat the likes of Monterrey and Club America, while Queretaro could be a dark-horse playoff contender. Will Pachuca be able to turn things around? There is reason to believe they can avoid future complications. Despite the exits of key figures such as Honda and Alonso, Los Tuzos are capable of adjusting to Ayestaran and putting more attacking faith in a recovering Guzman. Although they play first-place Pumas next, a straightforward schedule for a few weeks after should help them gain some necessary points. Whether ownership is willing to spend is another question, but there's no doubt that signing another foreign striker or goalkeeper would significantly help Pachuca's roster as well. They might be in a hole after three weeks, but we can't rule them out just yet.